The ability to update your beacon is important, because it allows you to get enhancements and new features without purchasing a new avalanche transceiver. To determine which version of the software you have, click on the wrench icon and then the "i" icon. Ortovox charges $25 to update transceivers. Contact Ortovox USA or find a dealer on the Ortovox website for details. 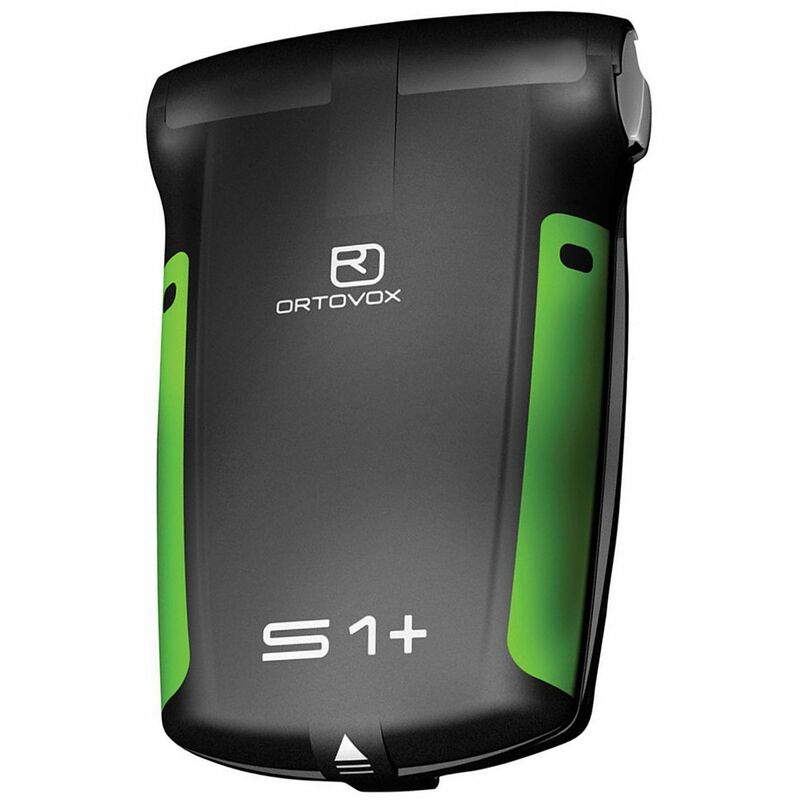 The Ortovox S1+ was recalled in 2015. Make sure you send in your S1+ for repairs! Read the details. You can display the S1+ version number by choosing the "i" icon. No more "locking of personalization"
It's a little confusing that the 10/2009 and 10/2011 S1 updates both display the version number as 2.1 when you turn on the device. However, if you choose the "i" icon, this version will display as 1.2.3488. You now cancel a previously suppressed (i.e., marked) transmitter during a multiple burial by pressing and holding the OK button for two seconds. Previous versions would cancel the suppressed transmitters with a quick press of the OK button. This change prevents you from accidentally canceling the previously suppressed transmitters. You can activate a new "deep burial" function by pressing the OK button when you are between 3 and 7 meters from the transmitter. This causes the S1 to display the "circular illustration" sooner. You can now personalize the start-up screen with your name, address, phone number, etc. That's handy in case you lose your transceiver (the Mammut Pulse also allows the startup screen to be personalized). It's a little confusing that the 10/2009 and 10/2011 S1 updates both display the version number as 2.1 when you turn on the device. However, if you choose the "i" icon, this version will display as 1.2.3237. Faster display indication of the buried victims after switching to LOCATION by reducing the message "STOP-hand"
Protection of the "MENU button" against unintentional operation (press and hold the MENU button for more than 2 seconds to call up the "MENU" function).